Alexandria’s 2017 Techne Summit brought together professionals, entrepreneurs, investors, and media to promote the Egyptian entrepreneurial ecosystem and ultimately bridged a gap between investors and entrepreneurs. 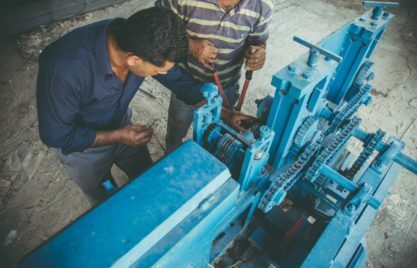 Egypt’s entrepreneurial landscape has much more to offer than only its major hub Cairo. 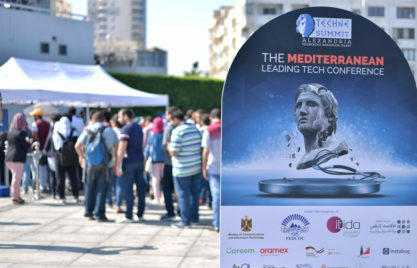 Being the second largest city with a population of more than 4.3 million, Alexandria for example is hosting annually the Techne Summit, an international tech entrepreneurship conference that serves as a platform for professionals, entrepreneurs, investors, technology users and media representatives. What started two years ago as a relatively small gathering of entrepreneurs has now evolved to one of the leading tech conferences in the Middle East, North Africa and the Mediterranean. Last years’ conference, held from September 30 to October 1 2017 at the Bibliotheca Alexandrina hosted more than 4,000 attendees, 160 startups, 60 investors and over 100 speakers from 22 countries. It covered talks, panels, workshops and several pitch events on diverse topics such as e-commerce, fintech, healthtech, marketing, media technology, investment, shared economy and women empowerment. Tarek El Kady, the founder and chairman of Techne Summit, Hayder Al-Bagdadi, the head of the GIZ project for the Promotion of Access to Financial Services for Small and Medium in Egypt and other representatives opened the conference by highlighting the importance of entrepreneurship to enhance economic growth and create employment in Egypt as well as stressing the expansion of accessible financial services for SMEs as one of the main priorities to enable entrepreneurs to thrive. Techne Summit 2017 particularly aimed to bridge the gap between investors and entrepreneurs. As one of the main partners of the summit, GIZ supported Techne Summit in achieving this goal. In cooperation with the business angel network Alexandria Angels and the summit’s team, GIZ staff designed and implemented a high-profile investor track, bringing together a diverse group of investors from across the region, such as venture capitalists, angel investors, accelerators, and other thought leaders in the field. Through its multidimensional nature, the investor program was directed to both entry level as well as established private and institutional investors and therefore, offered an enriching learning experience on different levels and encouraged the exchange of knowledge and experience among all participants. The investor sessions included inter alia introductory content and investment strategy fundamentals on angel investing and venture capital as well as more advanced topics, such as alternatives to equity finance. One of the highlights of the program was without doubt the Alexandria Angels startup pitch session. While the most promising entrepreneurs of the region presented their businesses to a selective audience of potential investors, the investors themselves were able to bring their newly developed skills into first practice. 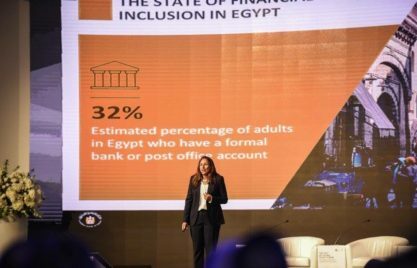 In early November, and thus only one month after the summit, Alexandria Angels made its first investment, funding the Egyptian on-demand delivery app VOO, one of the startups that pitched during the session. Techne Summit 2017 represented an ideal platform to connect young entrepreneurs, established national and international businesses, investors and facilitators, to foster the Egyptian entrepreneurial ecosystem, and ultimately to contribute to close the gap between investors and entrepreneurs.